Master Services with 2 Sessions. A service provided that increases your wish-making & wish-granting energies. You will have more finely tuned a position to make and form wishes, and to have wishes of yours granted more readily by the Universe, spells, or spirits around you. A service which brings you the power to see your aura and understand the meaning of the colors which surround you. When you can view your aura you can understand the flow of energy within you and around you; how that energy impacts your daily life. You will discover you can view your aura with your Third Eye and physical eyes. Seeing this array of colors provides important guidance for every step of your journey. Seeing your aura can help you determine important influences. A service which helps you remove the blockages which are stemming the tide of your happiness, success, and fulfillment. This service removes all forms of blockages which have taken root in any of your 3 bodies, your auric field, or your chakras. You will experience a cleansing of the blockages so you can reach a much greater form of clarity and focus in all areas of your life. Through this service small to great blockages can be resolved to help you further your supernatural goals, work on enlightenment, and discover greater power from within. A service which helps you to feel each, individual Chakra as well as channeling energy, magic and power through your Chakras. This service will provide you harmony and balance between your Chakras and help you learn how to use your Chakras to your best benefit. Each of your Chakras holds a unique ability and in working with your Chakras you develop particularly helpful abilities when it comes to feeling energy, the supernatural, and working with spirits or entities. 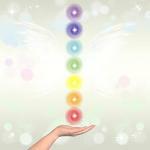 This service helps you identify and work with each of your Chakras. A service which helps you control your mind, keep control of your thoughts & focus, guides you to progressive & positive thought streams, and strengthening your mind. This service also helps you control the minds of others, influence thoughts & memories, and create a stronger, mental footprint which allows you to have better control and wisdom in all matters. If you want to strengthen your mind, create a greater visual platform for memories & visions, and impress your thoughts, visions and messages onto those around you to gain more favorable results.